According to a 2010 report by the Hong Kong-based Political and Economic Risk Consultancy, Singapore is accorded the high honour of being in 2nd-place for the least risky Asian nation. Ask any Singaporean or anyone familiar with Singapore and they will very likely agree that it is extremely orderly, systematic and very safe to live, work and do business in. After all, the crime rate in Singapore is among the lowest in the world. Thus, for a Singaporean or as someone aspiring to become a permanent resident or citizen, it is very important to have a good understanding of Singapore’s legal system. Singapore’s legal system has its roots tracing to the English legal system and has since evolved into a form unique to Singapore. All Singaporeans are deemed as equals in the eyes of the law, irrespective of one’s race, religion, creed, political views, background or wealth. The Constitution of Singapore is the supreme law of the land and defines the basic framework for the three state organs: the Executive, the Legislature and the Judiciary. The Executive comprises of the Elected President, the Cabinet of ministers and the Attorney-General. The President is vested with the power to veto national budgets and public office appointments. The Cabinet is made up of the Prime Minister, who is the head of the government, and Ministers selected from among the Members of Parliament (MPs) who are all accountable to Parliament. The Attorney-General is the Government’s main legal advisor and has the authority to prosecute offenders. The Legislature consists of the President and the Parliament which is made up of various types of Members of Parliament. To successfully enact the Bills in Parliament, the Parliament must seek the President’s approval before signing into law. The Judiciary comprises of the Supreme Court and the State Courts, and the Judiciary head is called the Chief Justice who is appointed by the President. The Courts are made up of the Supreme Court, which is subdivided into the Court of Appeal and the High Court and hears both criminal and civil suits, and the State Courts which is subdivided into District Courts, Magistrates’ Courts, Coroners’ Court, Juvenile Courts and Small Claims Tribunals. It is crucial that anyone living in Singapore or has any dealings here can identify which Court to go to settle legal matters. The Court of Appeal handles appeals made in response to the High Court’s decisions concerning matters civil and criminal in nature. The Court of Appeal is presided over by the Chief Justice and Judges of Appeal. The High Court is presided over by the Chief Justice and Judges of the High Court and hears cases both civil and criminal, as well as appeals made in response to the decisions by the lower courts. It also hears cases that concern admiralty matters, business closures, bankruptcy and advocates or solicitors admission. The High Court maintains jurisdiction over all the lower courts and has the power to try all crimes and offences committed in Singapore and some of those committed abroad. The High Court also hears criminal cases that involve the administration of the death penalty or imprisonment terms of more than 10 years. Civil cases that involve claims between SG$60,000 and SG$250,000 are heard by the District Court, which also tries offences that involve a fine and/or imprisonment term no more than 10 years. The District Court can sentence an individual to a maximum prison term of 7 years, impose a fine up to SG$10,000, up to 12 strokes of the cane, attend rehabilitative or reformative sessions or a combination of all of the above. As a lower court than the District Court, the Magistrates’ Court hears civil cases that involve claims SG$60,000 and below, and also offences involving a maximum prison term of 3 years or those punishable by only a fine. It can sentence an individual to no more than 2 years in prison, impose a maximum fine of SG$2,000 or issue up to 6 strokes of the cane. The Juvenile Court hears cases that involve children under 14 years of age, young persons 14 to 16 years old, and other cases involving such persons. The Coroners’ Court presides over cases of any death which occurs suddenly or unnaturally, by violence, or in a way yet to be ascertained, such as suicides, traffic accidents, workplace deaths and prison deaths. The Small Claims Tribunal deals with small claims cases between businesses, certain business contracts, and residential leases no more than 2 years. The SCT can hear claims no more than SG$10,000, but in certain cases, it can hear cases of up to SG$20,000. Any such claim should be lodged within one year of the dispute and lawyers are usually not needed. 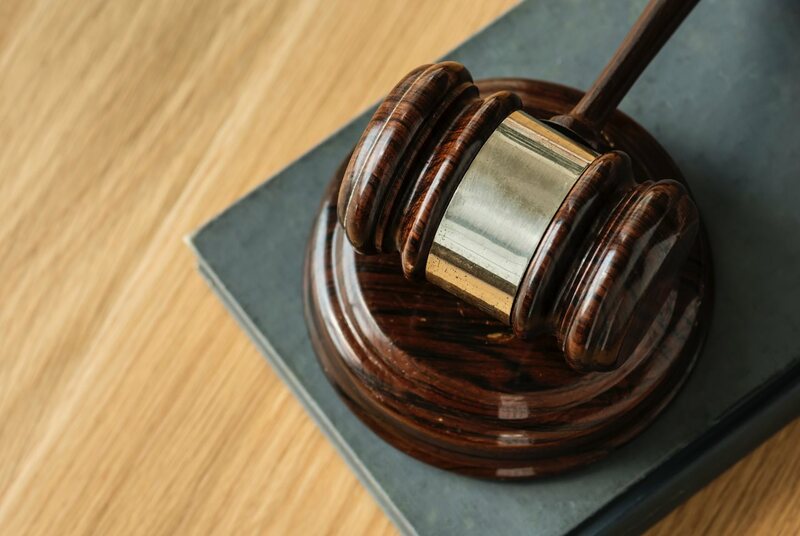 The Family Court hears cases involving families such as cases of divorce, adoption, division of matrimonial property, children’s issues, resolution and joint conferences, personal protection, alimony and family violence. Night courts operate every weekday after 6pm for the working public to handle regulatory cases such as summonses and notices issued by the various governmental bodies and statutory boards. The Community Court hears cases with relation to youth offenders 16 to 18 years old, offenders with mental disabilities, neighbourly disputes, attempted suicides, family violence, animal cruelty and abuse, racial offenses and certain cases that involve offenders 65 years old and above. The Syariah Court handles marriages and divorce disputes between either Muslims or people married under Muslim Law. The Traffic Court handles traffic offences lodged by the Traffic Police and the Land Transport Authority.